In his favour is that despite PSA’s recent woes, he succeeded in overseeing a number of significant developments that have improved PSA’s bottom line. Under his management, PSA’s sales and brand was restructured, the successful DS sub-brand was created – now being spun-off as a stand-alone marque. The conservative Peugeot family’s hold on the business was lessened by the re-financing deal struck with the French Government and Dongfeng Auto. Carlos Tavares will get the lion’s share of any kudos from PSA’s improved sales and financial performance, but the groundwork was laid under Gales. Additionally, his experience across the spectrum of the auto business means he is far better placed to make sustainable strategic decisions than some marketing and promotions whizzkid. But against that, he can no longer preside over a ‘that’ll do‘ production engineering policy – one that still bedevils PSA. Gales has to more than pay lip service to improving finish and material quality – especially at the prices they are charging. Donato Coco recently joined the ranks of refugees fleeing Bahar’s fiery descent, replaced by previous styling chief, Russell Carr. Coco, as believers were at pains to tell us hailed from Dany’s old prancing ground in Maranello. His earlier career however was a little less rarified, working alongside Mark Lloyd at Citroën, where he was involved with, amongst others, the styling for the Xsara, Xsara Picasso and Saxo. Okay, it mightn’t be altogether fair to throw his embarrassing back catalogue at him, but to be honest I didn’t think much of his output at Ferrari either. Of the five Bahar concepts, the Esprit was probably the most tolerable, but the smaller models just appeared to be miniaturised versions of it, each iteration looking more uncomfortable in it own skin than the last. Bahar’s believers consider the Coco designs a missed opportunity to reinvigorate Lotus’ visuals. But I find it difficult to understand that thinking. Why would anybody want three virtually identical cars in small medium and large? This is the Lotus-as-Porsche model and while it works for the Zuffenhausen concern, how likely is it to succeed at Hethel? Why does the Elise need to look like a shrunken-headed Esprit anyway? 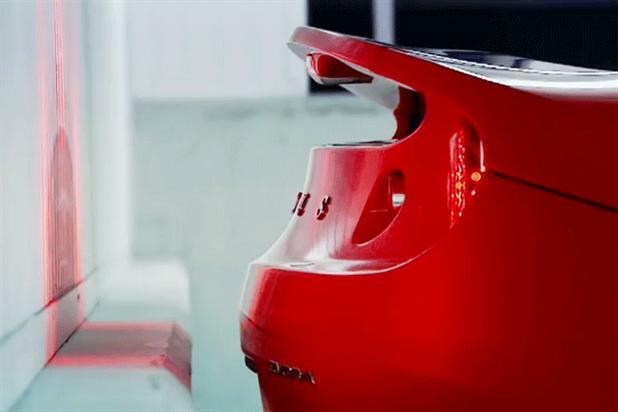 Surely the current stratification between Elise, Exige and Evora gives the customer choice and individuality. Critics also cite the fact that Carr was in charge when the current cars were produced, suggesting the Evora’s appearance is an issue – even though the lacklustre and unmourned Europa S remains the only serious styling lapse I can discern from the current era. To these eyes at least, the Evora remains a handsome and desirable machine. Also bemoaned is the demise of the Esprit project, but Gales told Car Magazine recently that very little work was actually carried out. The bespoke V8 engine was never run and the millions said to have been spent on the project was reputedly absorbed by their hero’s five shiny happy concepts. 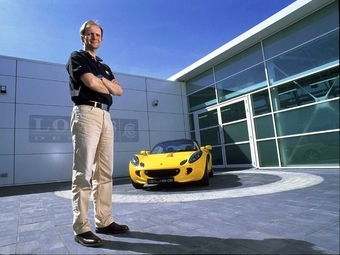 The problem as I see it is that Lotus is not, nor ever has been in the supercar business. Yes, Chapman was attempting to move Lotus upmarket during the 1970s, but a full-on supercar really doesn’t really fit with Lotus’ traditional giant-killing ethos. Like the cancelled 1980’s Etna before it, the Esprit would have been a hugely expensive project which would have exposed Lotus to a market it has little experience in and to customers with vastly different desires and expectations. Oddly, both proposals also lacked a certain stylistic sparkle – the Etna illustrating Guigiaro during a particularly torpid phase. So while the profit-making potential from such a car is high, the costs should it fail are higher still. Carr’s small team of designers have completed styling changes to a re-engineered Evora which it is hoped will spearhead Lotus’ new beginning. 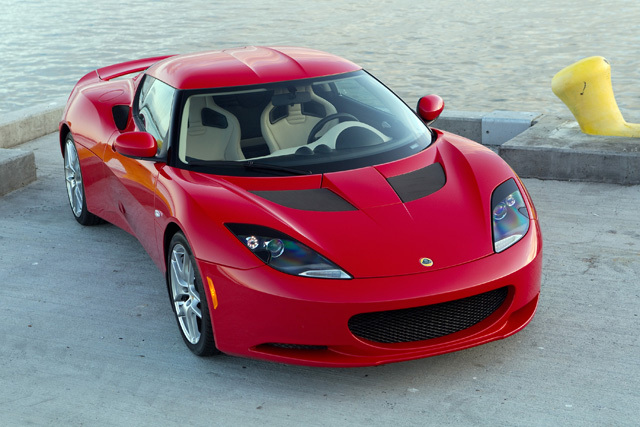 Sources from Hethel say the new car will retain the Evora’s uncanny roadholding, steering sensitivity and ride comfort. The range will be expanded with convertible versions and more performance-oriented models further down the line. 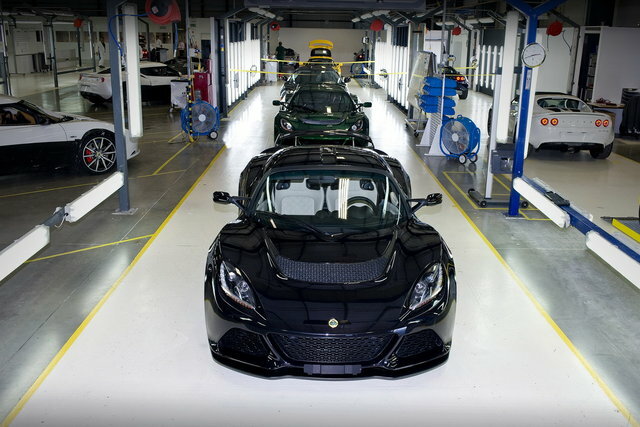 Gales talks of the Evora becoming Lotus’ supercar – lighter, faster, and nimbler than its rivals. Certainly it’s likely as large as a Lotus needs to be, if not as lightweight – at least not yet. The worry is that Carr and Gales have acceded to the naysayers and made the revised Evora more fashionably aggressive looking. We’ll know in about a fortnight. Further ahead, more audacious ideas are being evaluated. A CUV, based on the Evora for example and talk of ultimately producing an SUV or even a saloon. In many ways Gales has to at least eliminate these possibilities because the global market for sports cars is small and shrinking; especially given the Chinese have little interest in two-seaters. It’s a market Porsche currently dominate, providing sanitised thrills with a side-order of practicality. The issue for Lotus is that in trying to replicate what Porsche is doing very successfully they risk either another embarrassing failure or timing their offering just as the market shifts away from such vehicles, should fashions change. Another way of looking at it is this: with things hanging on a knife-edge, perhaps it’s worth staking everything on one last-gasp attempt at a breakthrough. What do they possibly have to lose now? Another issue is longer-term. Is DRB-HICOM in it for the long haul or do they plan to offload Lotus should Gales stabilise the balance sheet? Because there is little chance of a business the size of Lotus surviving alone. A logical choice as a potential suitor should have been Toyota, given their long-standing technical association, but surely after nearly thirty years the Japanese would have thought to make a move by now? 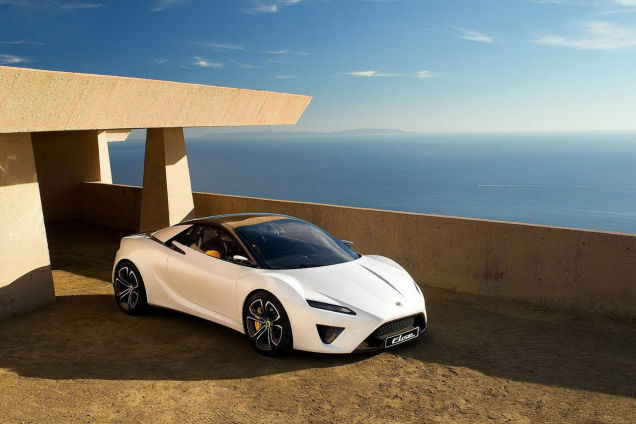 Since 1980 when the business came perilously close to bankruptcy, Lotus has been through innumerable owners, including Essex Petroleum, General Motors, Bugatti and more recently, Proton. None of these could provide a secure long-term home within a financially sound automotive business. So on the face of things, while Jean-Marc Gales stands a better than even chance of achieving his short term goal of righting Lotus’ listing craft, securing a safe long-term berth could prove to be his sternest challenge. Merriam Webster allows both ne plus ultra and nec plus ultra. OED also has ne plus ultra. I must say how much I dislike those photos of car in concrete gardens. That Lotus parked on a sandy drive with no greenery in sight. This, I believe, is among the several reasons inspiring people to have front yards made up of concrete and gravel compositions. What´s wrong with plants? Wrong thread but fair enough. Oddly Cambridge Dictionary Online has neither. No wonder I could not find the words in the text! Previous Previous post: Anniversary: The Peugeot 604 is 40 This Year.